Hidden Remote is just one of the latest pay-per-view sites that I’ve joined. I’ve actually been with the company for about a year now, so this Hidden Remote review is a little later than most others. From day one, my opinion with the company hasn’t changed. Hidden Remote is a part of the FanSided Network. FanSided is part of Time Inc. So, really, Hidden Remote is part of Time Inc. With that in mind, it doesn’t follow the same layout as Time Inc. But all FanSided websites will have the same layout to build their brand. The layout on the sites are clean and clear. There’s a slot for a featured post and then smaller slots around it for “popular” posts. Then there are slots for other posts underneath. Hidden Remote is focused on TV shows and movies. Anything goes, really. There are recaps, reviews, op-ed pieces, slideshows, and much more. As long as you love TV or movies, you’ll find a home as the site covers anything and everything. There are Supernatural, Once Upon a Time, Game of Thrones, and Doctor Who fans all working together to make the site great. Applying for the site is pretty easy. I’ll go through as much as I can in this Hidden Remote review. You go to FanSided and start your application from there. Hidden Remote isn’t the only site available, but it’s worth only applying for the one. While you can join others, you don’t want to stretch yourself too thinly. You will need a writing sample. This can be something you’ve previously written. I shared a few from Inquisitr and The Daily Voice News to show off my different abilities. There’s also a blurb to share why you would be great for the site. Think about things that you can bring to the site and what you offer. I shared my experience in writing about TV shows and movies, and the way I integrate with fans in Facebook groups. You’ll either be accepted or rejected. I don’t know what the rejection email looks like, but the accepted email will go into the details of the site and what you can expect pay-wise. You’ll then be asked if you want to go ahead with getting into the site. Once you say yes, you’ll need to do a little onboard training. These are just videos to watch and will take an hour or so of your time. If you’re familiar with WordPress the videos do seem a little pointless, but you get to find out about the FanSided way of formatting your articles. There are a few additions to the WordPress dashboard. After that, you’ll be introduced to the editors. What’s It Like Writing at Hidden Remote? Honestly, I love it. The team has a Slack group. If you haven’t heard of Slack, it’s an instant messaging platform with an app for your phone. It’s just like texting or WhatsApping each other. You can come up with feature ideas, share your love for TV shows and movies, and debate within the group. The best thing is you don’t have to chat, but it’s worth checking in now and again as interview opportunities and updates about editor availability will be mentioned there first. The whole team is super friendly. If you need ideas for features, you can just ask for some help. The editors will make you feel like you’re at home and there are even attempts for everyone to meet up in real life, especially if you’re a Comic Con fan. This is the best part of being at Hidden Remote. It’s not a big scary company with someone breathing down your neck. When I got kicked off a site as not a good fit, I went straight to one of the editors to question my abilities. The editors are more than happy to share where you can improve (if you need to) but will also give praise where it’s due. There are often public shout outs if you’ve accomplished something. I know this is the question you’re all wondering when going through this Hidden Remote review. Yes, there is a pay structure. It’s pay-per-view, but I honestly don’t mind that. Hidden Remote was never going to be a full-time job for me. Don’t hope that it will become a full-time job for you. The pay at the time of writing this is $1 per 1000 views. It doesn’t sound like a lot, but I regularly bring in 70,000+ views a month. The money I make is enough to go into a savings account. As they pay by check, I have a U.S. dollar savings account to build up my income for whenever I visit the States. There isn’t a PayPal option yet. I’ve actually found a few Entertainment companies prefer to pay by check. As I said, you’re not going to get rich or replace your full-time income, but it does depend on why you’re writing. Your pieces will be regularly shared on the Hidden Remote Twitter feed, but they also get picked up by stars of shows. I’ve regularly been retweeted by the Reign writers and cast and by the cast of other TV shows. This helps to build your following around a specific TV show, which is great when you do recaps or focus on a specific show for a group of features. The site is still growing, too. When I first started last year, I made $10 or so a month. Now I regularly make $70+. One month I made $200+ because of one piece that just went viral. As the site grows, your income will grow. The whole FanSided brand is growing, which is a good thing. I like to get in at the ground and work upwards. There are pay rises now and then. There hasn’t been one for over a year, but that doesn’t mean one won’t happen. There is a catch (there always is, right?). You will have to write 8 pieces a month. They can be any type of pieces, including features or 15+ page slideshows. It’s completely up to you. I like to do a mixture and play around with things. Some months I’ve gone above my 8 minimum and others I’ve just done the 8. There’s no complaints from the editors if you just do the minimum, so it definitely works part-time. Do I Recommend Hidden Remote? If you love writing about TV shows or movies and don’t mind pay-per-view, this is definitely an option. I wholly recommend Hidden Remote. It’s fun and friendly, and will help you build your experience and exposure. I know you need more than exposure, but sometimes you need something to get your name out there and build your way up. Hidden Remote has helped me move onto bigger names out there. I constantly push my way up and don’t regret ever only earning $10 for the first couple of months. One of the biggest benefits is old pieces continually perform well. By doing slideshows, you create evergreen content that you can keep sharing. This helps to create passive income on the site. If you don’t want passive income or like uncertain income from sites, this isn’t going to be for you. 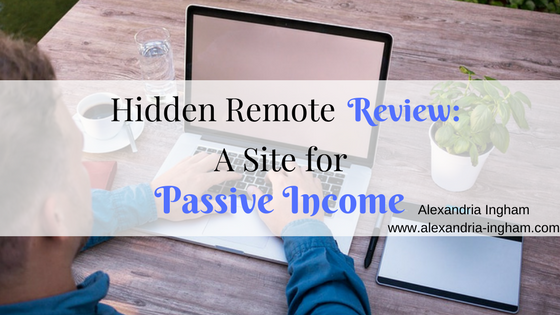 If you want something to replace your full-time income, Hidden Remote definitely isn’t right for you. 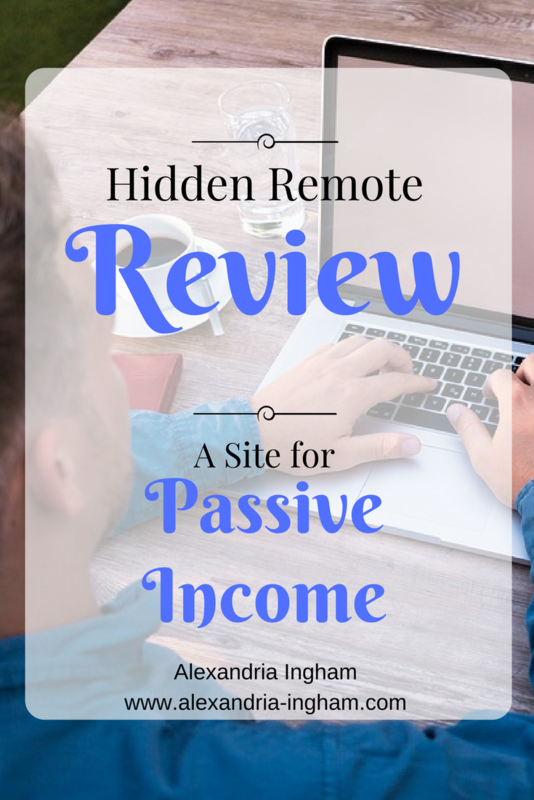 Did you find this Hidden Remote review helpful? Feel free to share it with your friends looking for help getting into Entertainment writing. By the way, there are no affiliate links in this piece. There is an option to share who referred you in the application process, but I don’t get anything for it. I’m recommending the site in this Hidden Remote review because I believe in it. Do You Have a Resources Page on Your Writer Website?